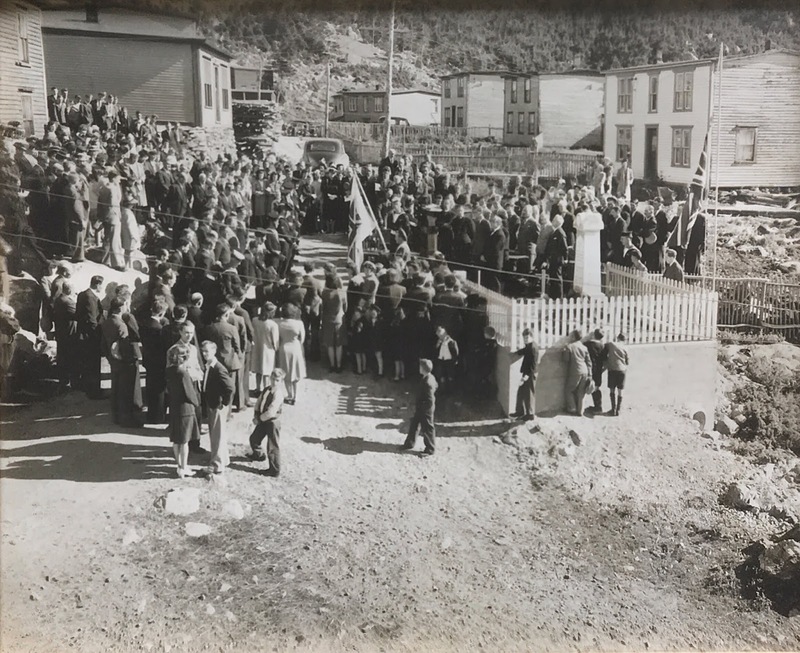 This photo (exact date unconfirmed as of yet) shows the dedication of the then-new Great War Memorial in Bauline, Conception Bay, Newfoundland. Photo courtesy Town of Bauline. The memorial has been moved twice since this photo was taken. It was first moved to a spot just outside the Bauline United Church, and then more recently, it was moved to the Memorial Park at the new Bauline Community Centre.